Jon Young is an expert on bird language. Growing up near New Jersey’s Pine Barrens, Jon became fascinated with the wildlife outside his door. Under a local naturalist’s tutelage, he learned to recognize birds, their various calls, and the role they played in their habitat. He has since studied with San Bushmen in the Kalahari and indigenous peoples all over the world, learning techniques for tracking and observation, as well as their philosophies towards wildlife, the natural world, and our place in it. Today he lives in Northern California and teaches seminars on bird language. Birds, he believes, are the watchers and sentinels of the natural world. Understanding bird language and behavior is key to learning how to access, connect with, and understand nature. By learning the primary, or baseline, forms of vocalization—songs, companion calls, territorial aggression and adolescent begging—we can recognize alarm calls that break the pattern. Young has his students establish a daily “sit spot,” a place to observe bird activity and calls each day, becoming familiar with birds, feeding patterns, habits, and vocalizations. 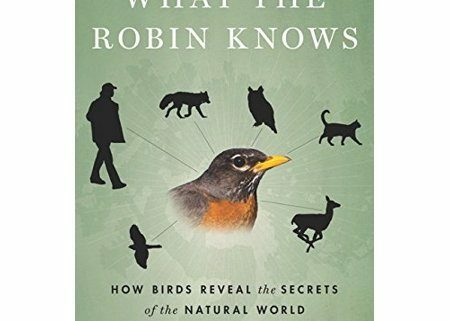 That familiarity opens up a new world of understanding and awareness: “…ultimately the birds will yield to us the first rite of passage: a close encounter with an animal otherwise wary of our presence” (p. 173). 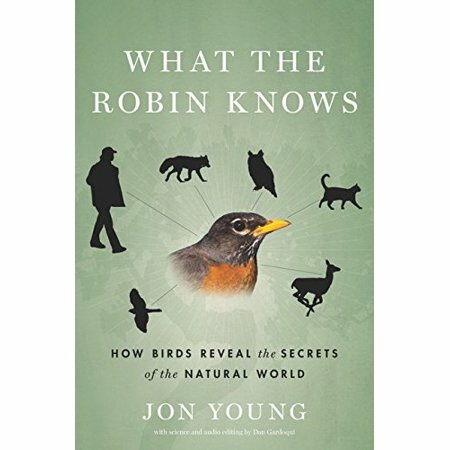 Young’s insights into the complexity of bird language (chickadees vary alarm calls to indicate a specific predator, its proximity and approach), the uniqueness of each species and its behavior, infuse the reader with new appreciation for birds and all wildlife. Master Naturalists will find Young’s information on bird communications and behavior fascinating. The techniques he uses to promote nature awareness and connection would be valuable to educators and interpreters. When a “chip” goes unanswered, the mate will follow up with a more insistent “CHIP!” and then go to investigate. Young witnessed a concerned male fly towards his lady’s last “chip” to find her rocketing towards a shrub, a sharp-shinned hawk in hot pursuit. The male flung himself in front of the sharpie, spinning the hawk off course and saving his mate—a true Valentine’s Day cardinal’s tale. As Young observes, “If we learn to read the birds. . .we can read the world at large” (p. 173). What the Robin Knows is a great primer.